Everything we do, every single day, depends on generous gifts to the Vesterheim Annual fund from friends like YOU! Thank you for your support. We are a 501(c)(3) non-profit organization under the regulations of the Internal Revenue Service. All contributions are tax-deductible to the extent provided by law. Would you like to receive the Vesterheim Current (the museum’s email newsletter)? Vesterheim is first and foremost, a community. Many among us choose to support our community with financial gifts. There are lots of ways to get involved. Choose from the many options below, or contact Diane Brondyke, Development Director at dbrondyke@vesterheim.org to talk about your ideas. Vesterheim thanks all of the people who have hosted so many fantastic Vesterheim events around the country! From dinners and dances for hundreds of guests to dessert for small groups in a private backyard, those who appreciate Norwegian art and heritage come together to enjoy each other’s company and share their enthusiasm for Vesterheim. 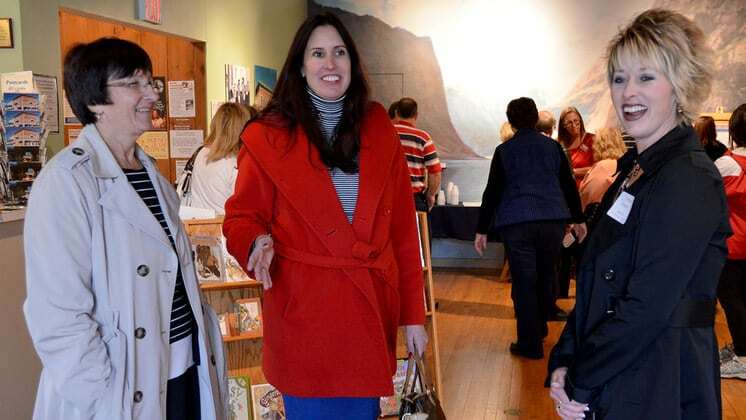 Vesterheim accepts donated objects for use on the museum campus or for fundraising purposes. Examples of museum use items include tools and supplies to help in museum up-keep. Examples of fundraising items include artwork for raffles, and items and services for auctions. To discuss your gift, contact Diane Brondyke, Director of Development, at dbrondyke@vesterheim.org or 563-382-9681. Every year, new objects, books, or archival materials are added to the collection through the generosity of individuals and organizations. 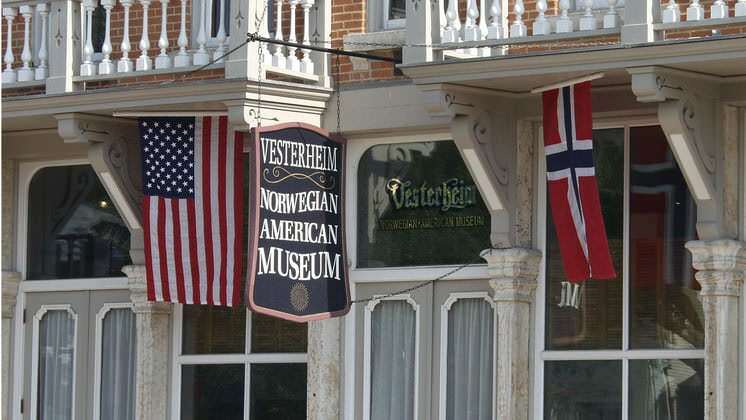 These donations help Vesterheim fulfill its mission of sharing the Norwegian-American experience. Below is a list of items Vesterheim would like to add to the collection. If you think you have something that will enhance Vesterheim’s collection, please contact Jennifer Kovarik, Registrar, at jkovarik@vesterheim.org or 563-382-9681 to discuss the donation. Artifacts and archival materials from the East Coast, West Coast, Texas, and Southern U.S.
Artifacts, documents, and photographs related to Norwegian-American innovators. We consider our donors partners in our shared goals. Kronneklubben, honoring those individuals whose cumulative giving reaches $10,000 or more. Annual Reports keep our investors informed about how we’ve spent their donor dollars, and give us an opportunity to say thank you to all who makes Vesterheim’s mission possible. Vesterheim endorses the Donor Bill of Rights, created by the Association of Fundraising Professionals (AFP), the Association for Healthcare Philanthropy (AHP), the Council for Advancement and Support of Education (CASE), and the Giving Institute: Leading Consultants to Non-Profits. View the most recent Donor Bill of Rights here. There is no better way to connect to our community than through the Vesterheim membership program. Whether you run a local business or a large multi-national corporation, we’ve got a partnership package that can suit your budget and marketing goals. Employer Matching Programs contribute almost $5 million to charities annually, making it possible for all donations to do more good work. We are honored to be a valued charity partner with Thrivent Financial. Check out their website here. Are you a Thrivent or Thrivent Financial member? Thrivent Choice or Thrivent Simply Giving will give direct support to Vesterheim that costs you nothing. Vesterheim’s Endowed Funds illustrate how private contributions make a difference to our long-range vision for serving future generations. These funds exist in perpetuity, ensuring that your favorite programs are always supported. Find a list of endowed funds here. Don’t see your favorite program represented in our existing funds? Endowed funds can be named to honor your loved ones, and established with gifts of $25,000 or more. 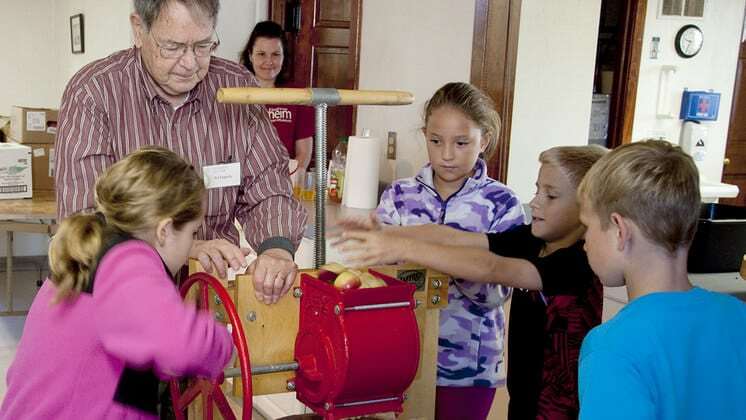 Iowa residents who make a donation to the Vesterheim Fund at the Iowa Community Foundation may be eligible for an additional 25% tax credit. Find out more here! Remembering Vesterheim in your will makes the museum more sustainable, and can help you minimize your estate tax impact. In 2000, Vesterheim launched Kroneklubben or “Crown Club” for recognizing our most generous and devoted donors. This special recognition acknowledges accumulated lifetime gifts and is essential for helping us achieve our mission. 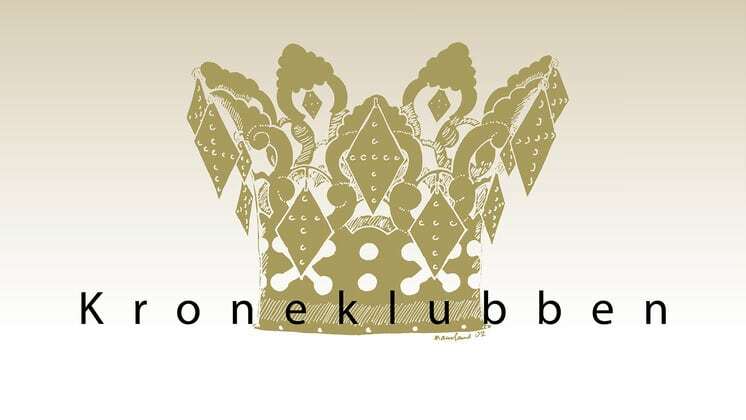 Membership in Kroneklubben is a high honor starting at $10,000 up to $29,999 for the pewter level, followed by bronze at $30,000-99,999, next is silver with a range from $100,000-499,999, then gold at $500,000-999,000, and ultimately platinum for lifetime gifts of $1,000,000 and more. Vesterheim chose this bridal crown, drawn and interpreted by Norwegian-American artist Elisabeth Maurland, to be a symbol for its Kroneklubben. For us too, the crown represents the ties that bind us as a community, linking us to each other and to those that come before and after us. Your gifts to Vesterheim enable the museum to sustain this mission, to share a cultural legacy, for years to come. The crown illustrated on the Kronekluben award is a part of the Vesterheim collection. 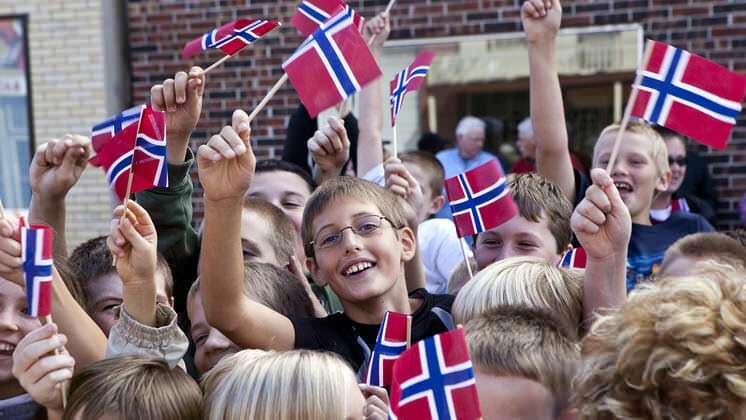 It helps to tell the story of living Norwegian-American heritage that Vesterheim embodies. Bridal crowns were treasures of a Norwegian community, shared by all for marking special occasions. Crowns, like this one from Trondheim, were keepsakes, used to literally and symbolically pass along traditions. Crowns connected generations: as an older woman placed the bridal crown on the head of a young woman, she linked generations, and members of the community, in a celebration of that heritage and tradition. Just as the bridal crown is passed from one generation to another within a community, your support ensures that Vesterheim keeps its stories alive for tomorrow’s generations. We invite you to consider a gift or pledge to become a part of this prestigious group. 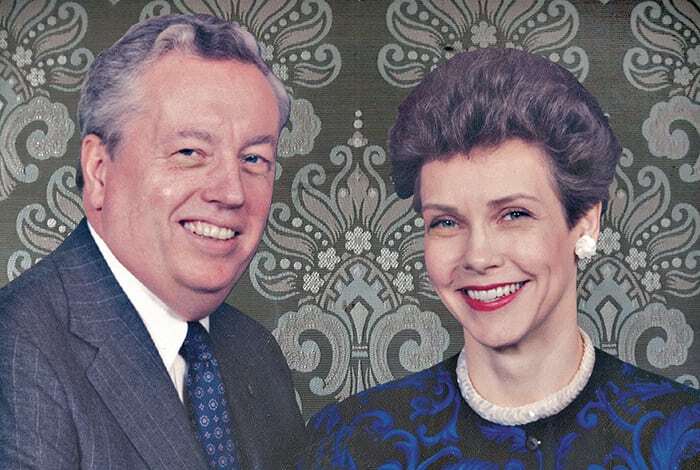 Russell and Jean Ashbaugh, Jr.
Casper Plumbing & Heating, Inc.